Buying our first baguette on our last trip to Paris, I spied a tray of pistachio financiers and felt my willpower melt away. I have always loved the color and flavor of pistachios. I bought two of them and carried them back to our cozy apartment. We loved their intense color and flavor. And thus began my pistachio obsession which hit its peak in Paris. I liked asking for them. Fee-non-see-ay pee-stash may not roll trippingly off the tongue, but it is fun to say. I only wish I had taken more photos of them. 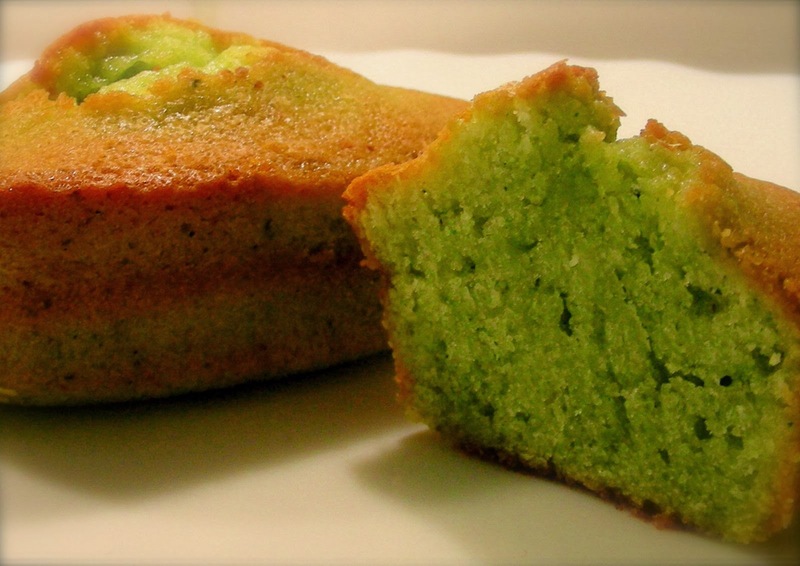 Why not make a rich financier pistache part of your Mardi Gras celebration? I'm embarrassed to admit that I've never had a financier, but now I know how to pronounce it (you sound very French to me!). Will have to look for them here, or perhaps you'll share a recipe...? I absolutely adore financiers, you've just reminded me I need to buy a pan and learn how to make them! For some reason, probably operator fatigue, I hit "Publish" before adding the photo at the bottom. I hope I was pronouncing it right, Lydia. One never knows with French. Textbooks and reality often differ. Betty, these were so moist - I must buy a pan, too! Financiers pistache! I have never tried those. I like regular financiers and have never noticed pistache ones anywhere. They sound and look yummy. Laura, these were from the bakery near the Eiffel Tower. I do not recall seeing them anywhere else. Lovely, I keep seeing these around and know I really must try them! Thanks for the Paris fix for the day. I've made financiers using ordinary muffin tins. These pistachio ones look absolutely divine. Thanks for the inspiration. I thought of the same thing, Lisa. And why not? My kitchen does not need more stuff!